3 years & up. 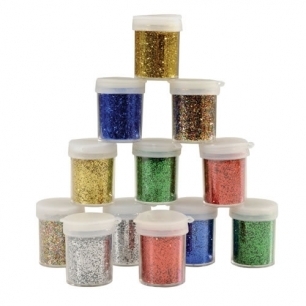 Add sparkle to art activities! Set of 12 includes 2 3/4 oz. jars of each color. Blue, red, green, gold, silver and assorted.